Left Tip to Y Connection Cordage - Coiled? Y Connection to Right Tip 1 - Coiled Cord? Y Connection to Right Tip 2 - Coiled Cord? 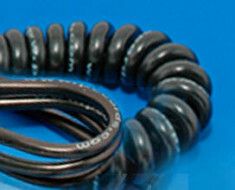 The ” Custom Y Cord ” is used to join three or more cords together without the use of slaves or unreliable “octopus” adapters. Some common uses are: connecting 2 or more flashes to one camera; two or more cameras to one flash; and two headed cords designed to fit different cameras/lenses without changing cords. 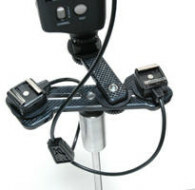 This “hard wired” approach is the best and most reliable method of linking cameras and flashes together for both studio and bracket use and is a cheaper alternative to the radio slaves, and more reliable.